We have owned our business since 2004 and are an LLC owned by husband and wife. I am the majority owner (75%) and my wife has 25% ownership. We currently file with one joint personal return and one for the LLC taxed as a partnership. We have not filed for this year but want to change our filing status to be a disregarded entity. Can I elect a disregarded entity and file only one return? The LLC was formed in Delaware and we are residents of Delaware and the business is located in Massachusetts. If so, is there anything special I need to do given that we filed separate business and personal returns previously? 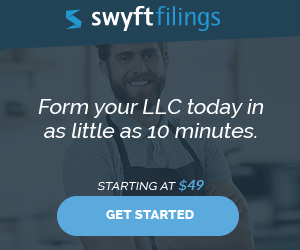 An LLC with at least two members will be classified as a partnership by default unless Form 8832 is filed with the IRS and elects to be treated as a corporation. 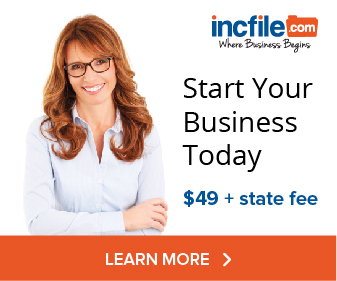 Also, a single-member LLC is automatically a disregarded business entity taxed as a sole proprietorship unless Form 8832 is filed and the corporation status is elected. Under IRS rules, you have to file the Form 8832 no later than 75 days after the date you want the new classification to take effect. In your situation, it’s too late to elect disregarded entity status for last year’s return. However, you can file your Form 8832 to elect disregarded entity status going forward. Attach a copy of your Form 8832 to your partnership tax return when you file it. Is there any reason to continue to do the separate returns? Is there any other reason to do it besides the obvious administrative benefits? If you are a married couple and file joint personal tax returns, I can’t think of any reason why your tax situation would change going from partnership taxation (where you and your spouse are the only members of the LLC) to disregarded entity status. So yes, the advantage of the disregarded entity status is the administrative benefits. Schedule C. The statistics do somewhat support that view. One thing to keep in mind is whether the LLC is in a community property state. LLCs owned by a husband and wife in (AZ, CA, ID, LA, NV, NM, TX, WA, & WI) can treat their LLC as a disregarded entity for federal income tax purposes if: the LLC is wholly owned by the husband and wife as community property under state law and not taxed as a corporation. This often means that each spouse would file a joint tax return with a Schedule C.
That said, even the “increased” chance of audit using a Schedule C is about 2% (meaning, you have a 2% chance of being audited in any particular year). With proper records and receipts, an audit should be nothing to fear. Furthermore, many audits are conducted through the mail and do not involve an IRS agent physically rummaging through your desk drawers and files. The administrative benefits of disregarded entity status accrue each year, while the chance of an audit is slim (you have a 98% chance each year of NOT being audited). The choice is ultimately yours but you may want to engage a CPA to fully discuss the options. Return to Ask A Question About Single Member LLCs. Can a Single Member LLC be owned by Husband and Wife in A Community Property State? For tax purposes, can an LLC whose only members are husband and wife be treated as a single member LLC in a community property state (CA)? For income tax purposes, an LLC owned solely by husband and wife can be treated as a single member limited liability company. This includes the election as a disregarded entity. Whether the limited liability company is formed in a community property state (AZ, CA, ID, LA, NV, NM, TX, WA, & WI) is not relevant for this purpose–LLCs in all states can elect single member LLC status if owned by a husband and wife who file their income taxes jointly. Of course, being in a community property state will obviously have an impact on the distribution of the LLC membership interests in the event of a dissolution of the marriage.